People often ask me how I find the time to do everything, which is an odd question to me – I’m not nearly as busy now as I was some years ago! Ok, I have a full time job, and I knit, and I have a bit of a social life, and I read – that’s not that impressive….? 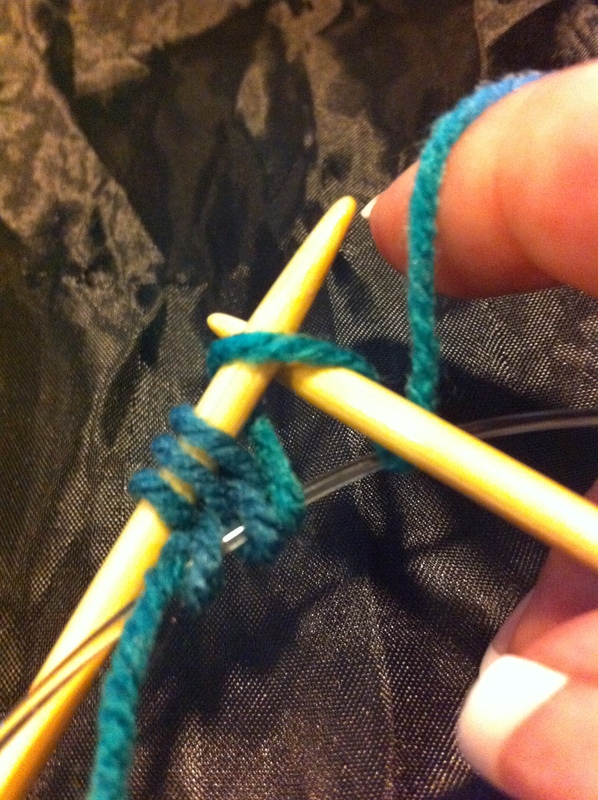 It’s the time for knitting that people don’t seem to understand, but I suspect I’m like a lot of other knitters – I rarely just sit and knit, and do nothing else. 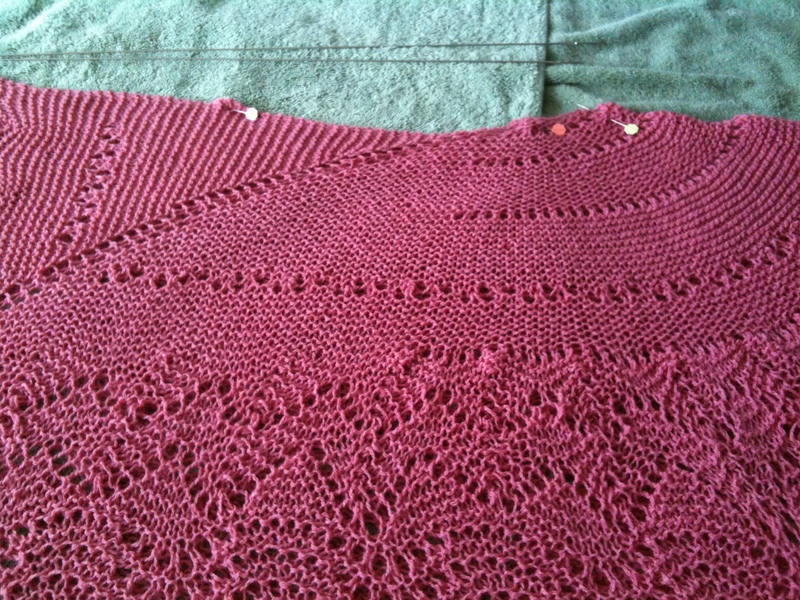 I knit while I read (the simple, upstairs knitting – it gets me through a lot of student and other reading!). 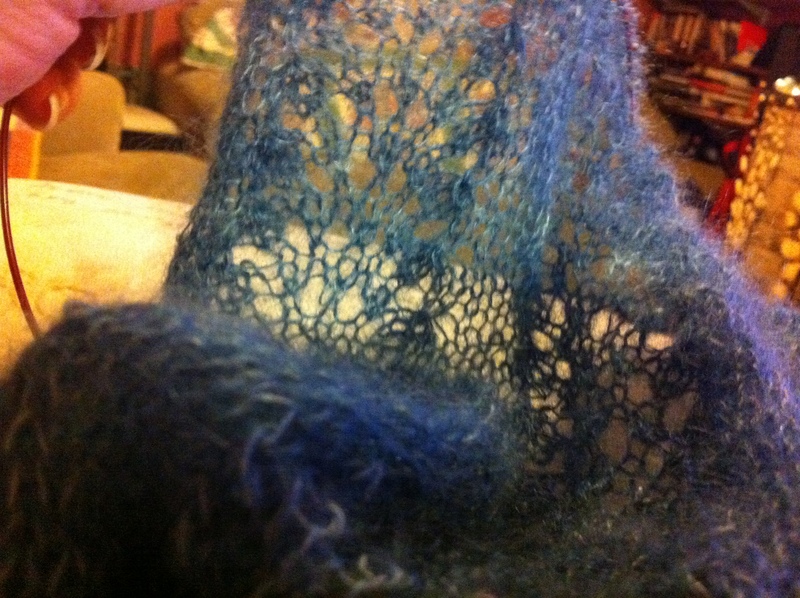 I knit while I watch TV (the more complex, downstairs knitting). 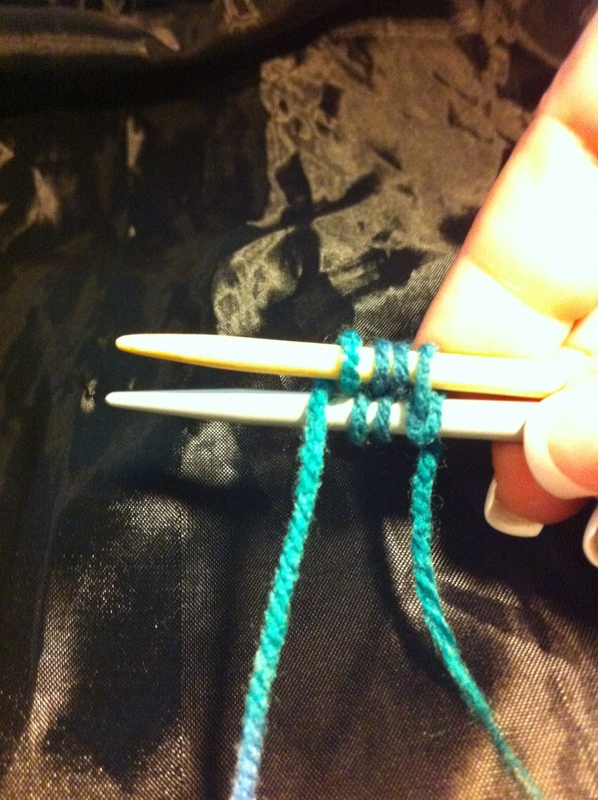 I knit while other people drive, and while waiting for things to happen… I don’t like to sit down with NOTHING to do, I’d get bored! 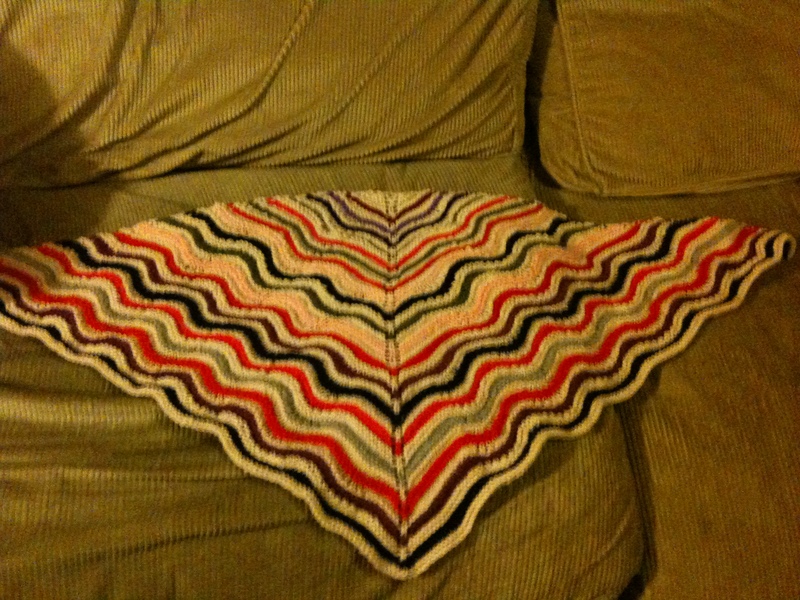 And speaking of upstairs and downstairs knitting… The current upstairs knitting is yet another feather and fan shawl (why stop a good thing? ), again in Harmony one ply. 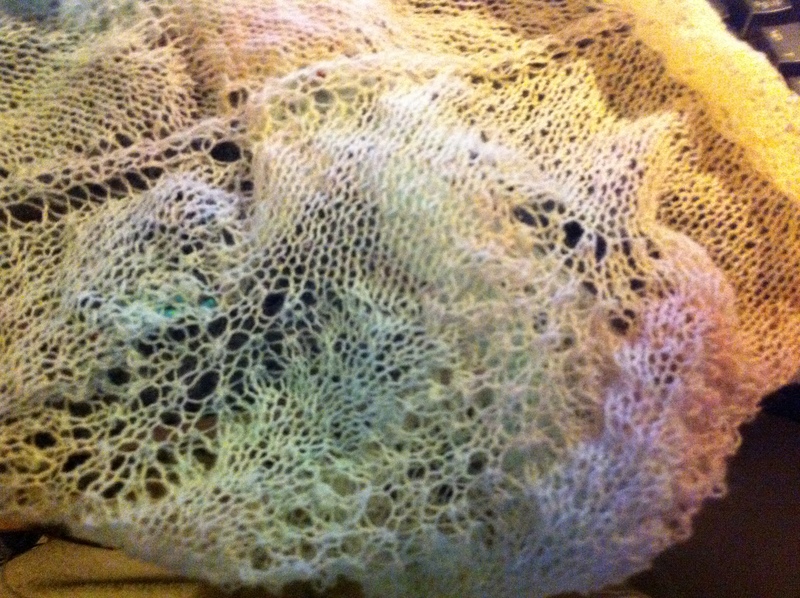 This, though, is in what I think can rightly be called “baby colours”… If you look closely, you can see that I’ve got two stitches in the spine, rather than one – the last shawl turned out ok eventually, but had to be reblocked to get the spine looking reasonable, so this time, I’m giving it a bit more body, with two, rather than one, stitch. 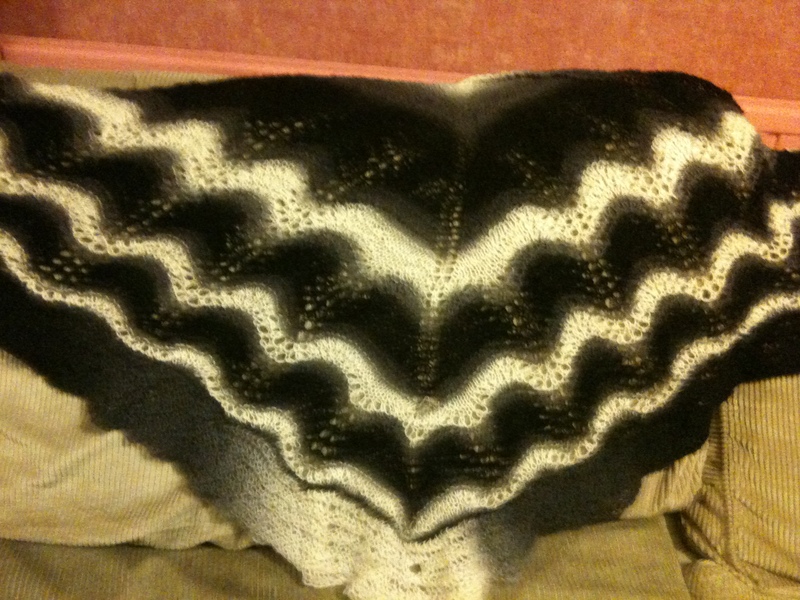 The downstairs knitting is also coming along, but it’s taking a LOT longer because it’s wider…. 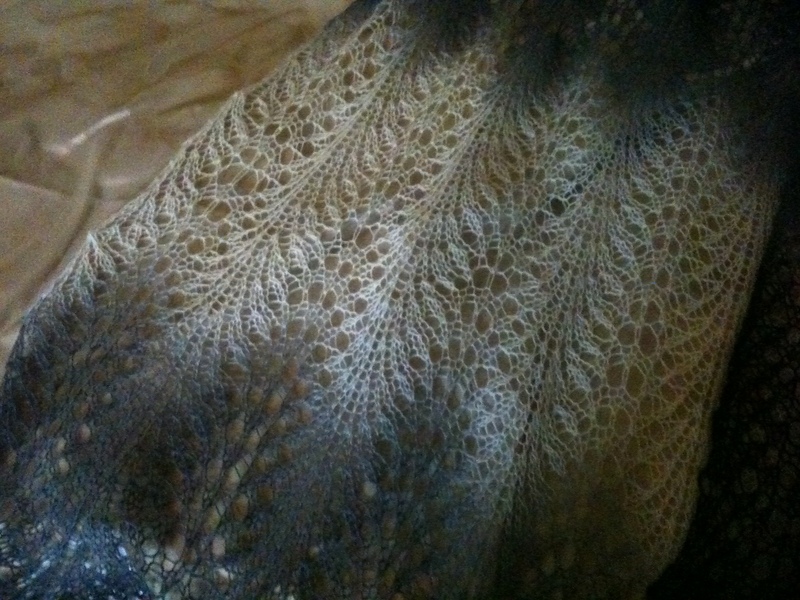 This isn’t a particularly good picture in terms of color but you can see the spider stitch pattern there. 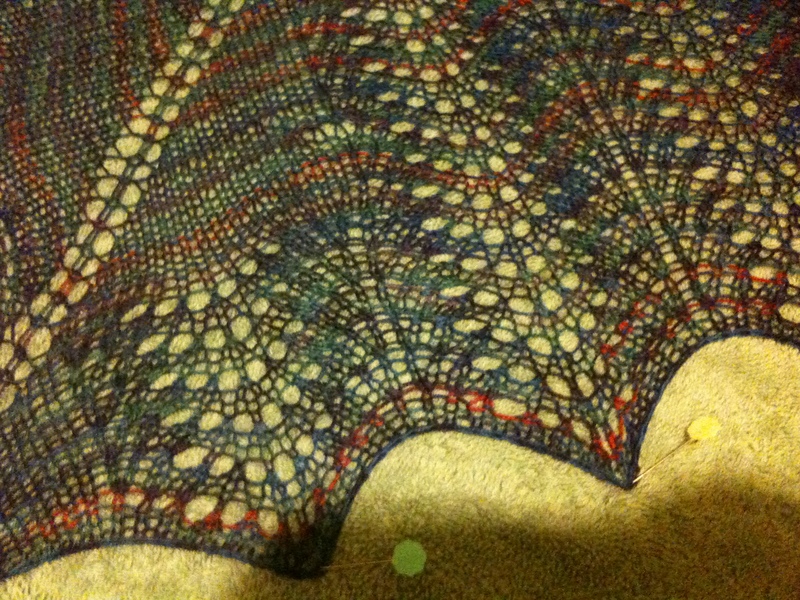 It’s becoming a bit of a sampler-shawl. 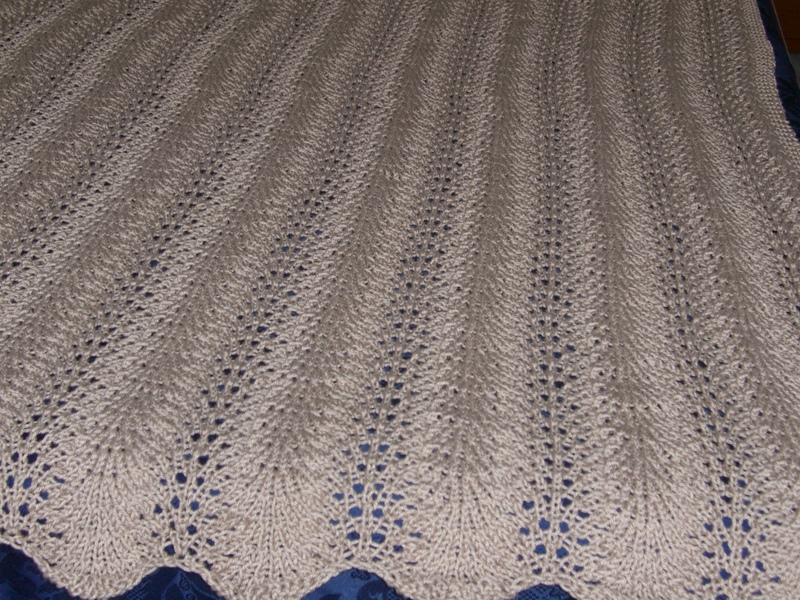 🙂 There’s a section of spider stitch, and I’ve just gone on to a trellis lace pattern (there are only a few rows of that so far and it doesn’t look like much). 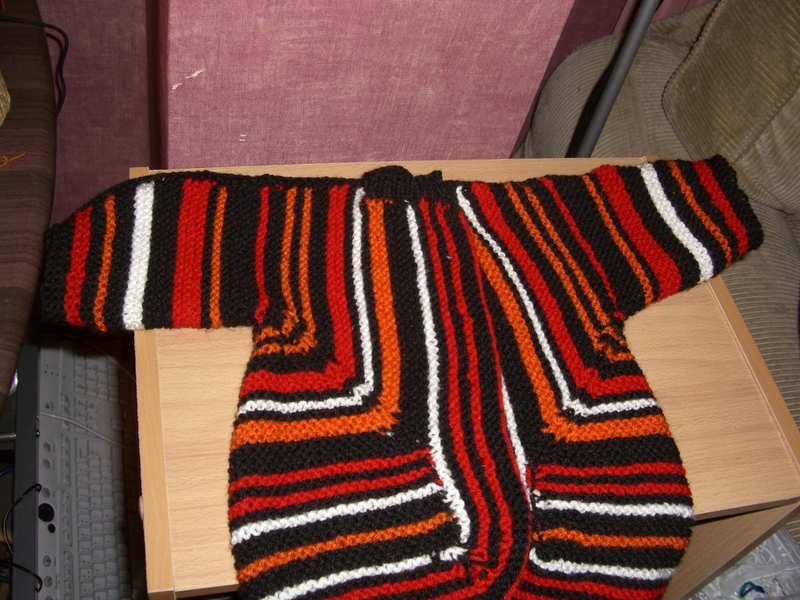 I’ll let it get a lot longer before I start on a final pattern – probably Old Shale but perhaps something else. I’m not even going to say what the pattern is. 🙂 It’s in Zauberball, which I’ve talked about before. (And yes, observant readers will see that there’s a biggish hole in the border at the bottom. 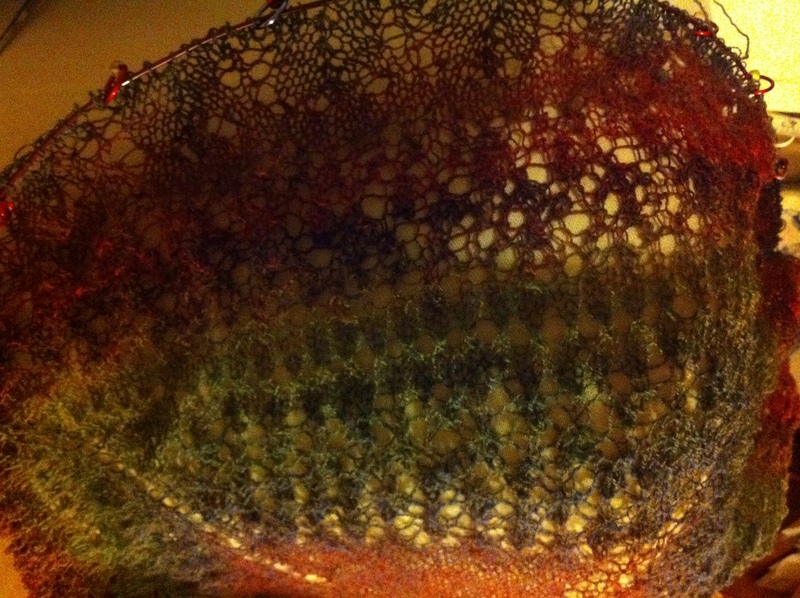 I don’t think this shawl was ever blocked – but I know it needs it now!). 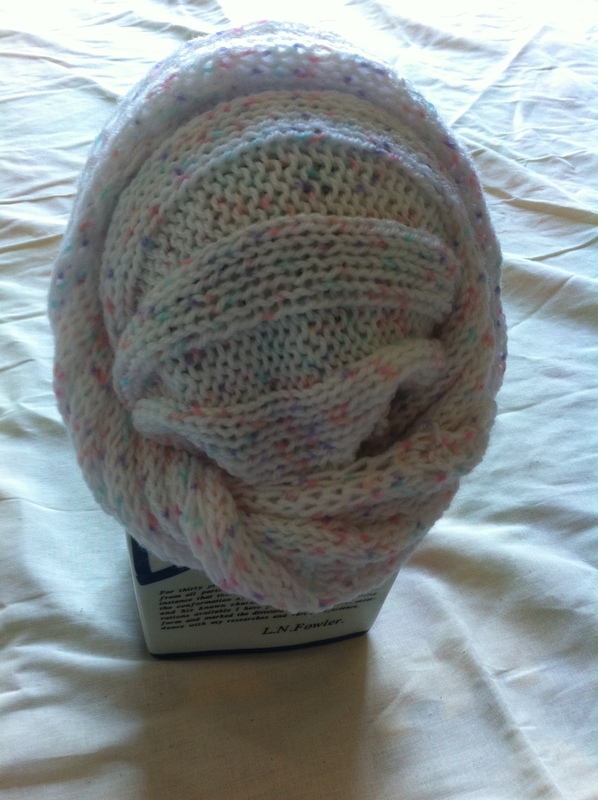 One of the things I like about knitting is that it allows me to be just as creative as I wish to be. I can, should I choose, follow a pattern slavishly and do precisely what I am told to do. 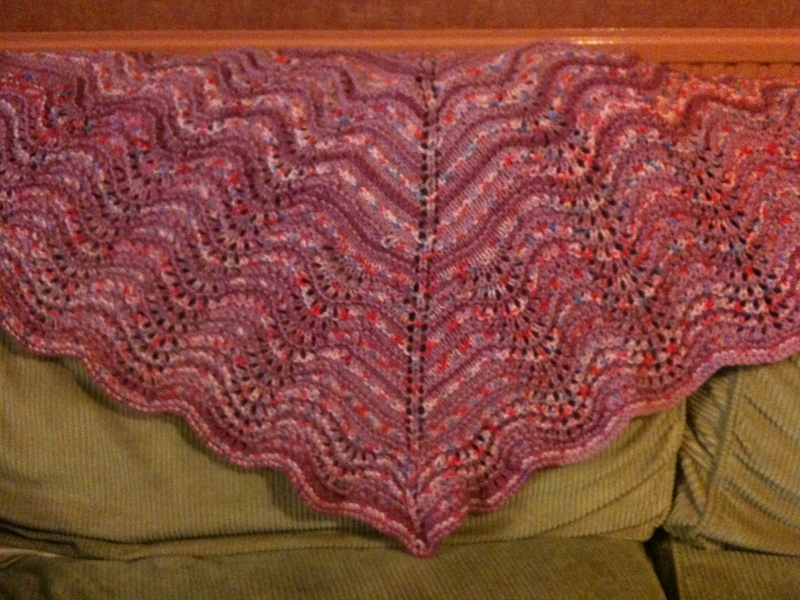 That’s what I did, for intsance, in making this shawl, which is Panache (ravelry link). 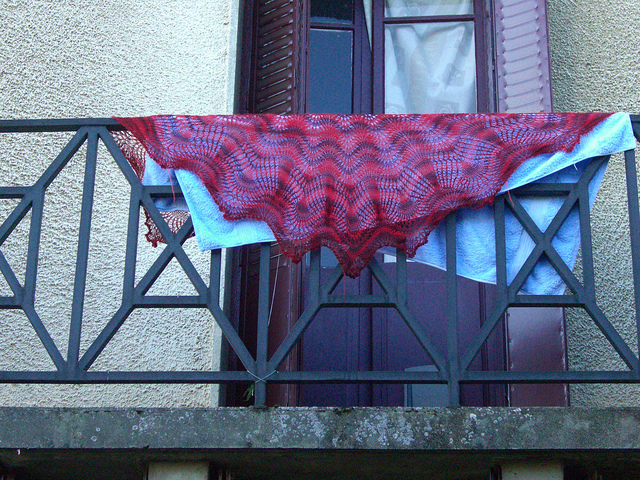 The photo shows it drying over a balcony in France, which you must admit, is quite a cool way to block a shawl, even if a bit unconventional. 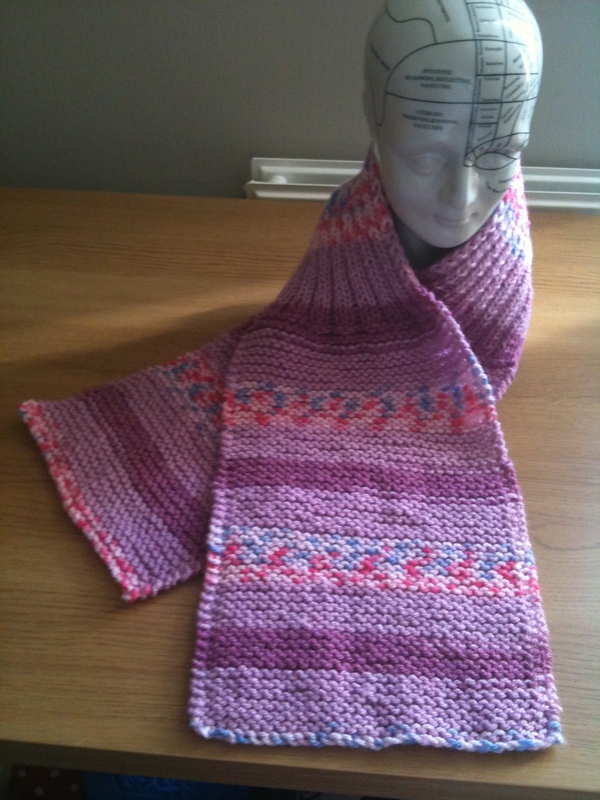 But you can be even more creative than that, and just use a stitch pattern to create whatever you want… as I’ve done with many other things here. One useful thing is a set of recipes – Zimmerman’s books are fantastic for this, and if you are into making shawls, this chart of how to make various shapes, is a must. When it comes to work, I’m really organised. Databases, spreadsheets – it’s all there, and I can generally find whatever is needed fairly quickly. When it comes to home… not so much. :} I’ve spent a good part of the morning putting away clothes – washing them, drying them, folding them – all good. Putting them away? Not so good. But I’ve done a lot of that this morning. 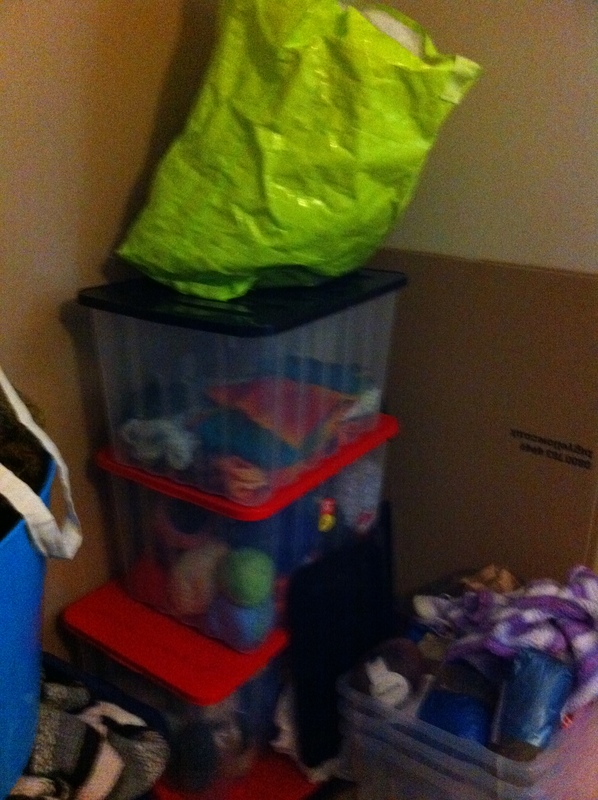 And I’ve been organising my knitting stuff, as well. (Yes, I could have removed the bag from the top of the boxes, and it would have looked better, but it’d not be a true representation!). That top box has finished objects in it, the rest have wool (there’s a finished object on the lowest box, as well – I forgot to take it off). The other thing that needs organising is all the STUFF that you acquire when you knit. 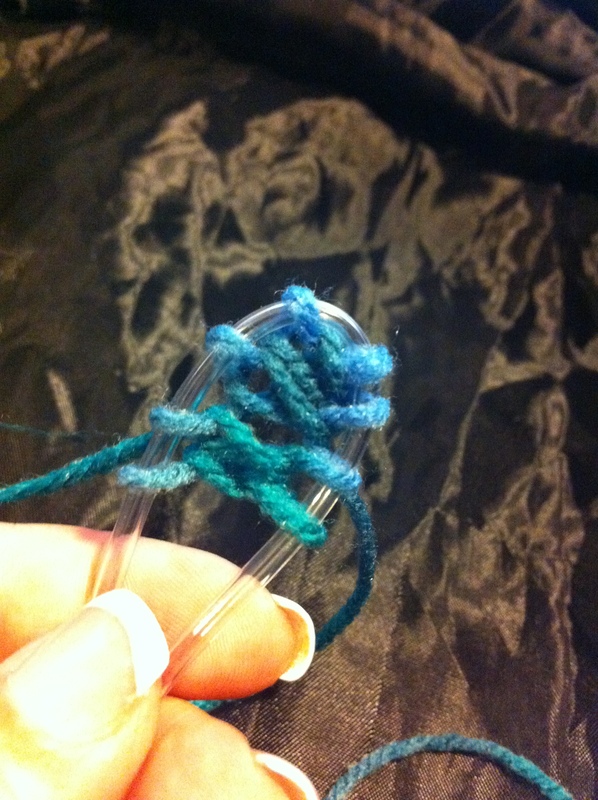 I’ve shown my needle case before in this blog. What is shown in the next picture is the box that all that sort of stuff lives in. I’m very lucky that I have a home office, and a table next to my desk. The printer sits on the table along with a changing assortment of stuff and, of course, the cat. 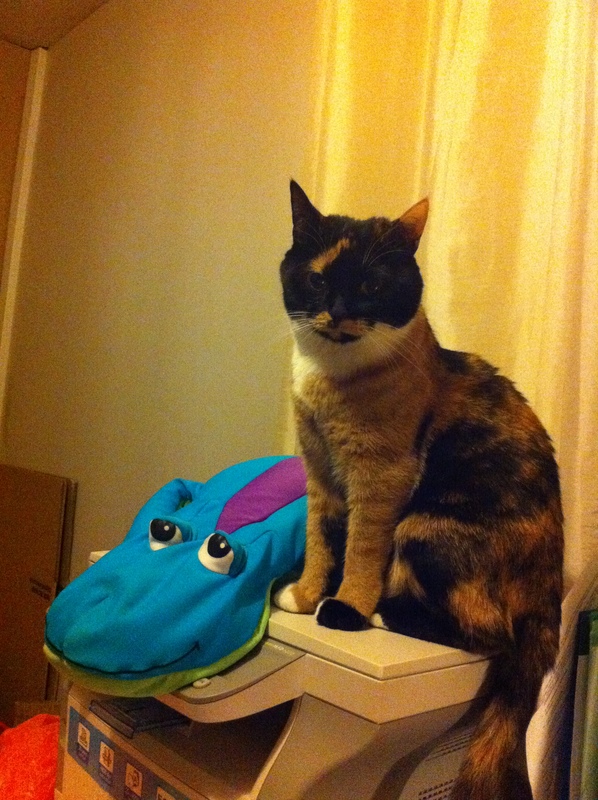 Everyone needs a supervisor…. 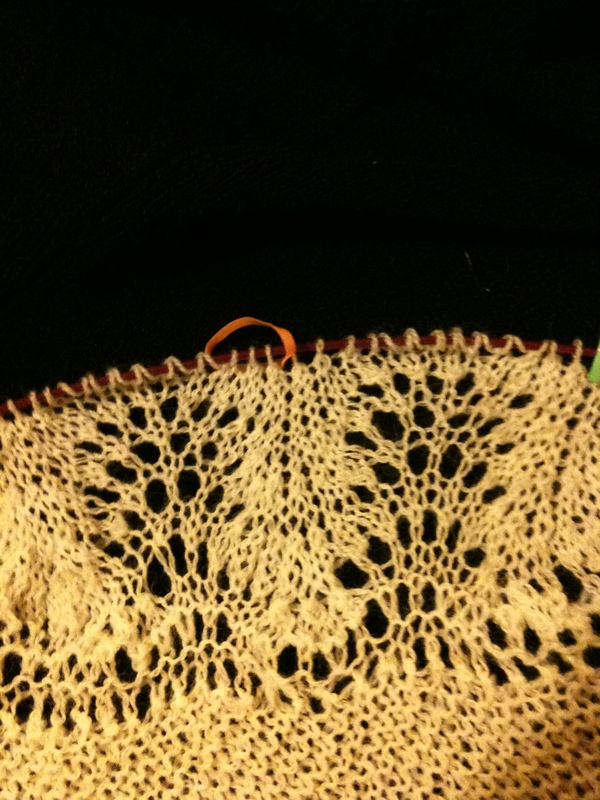 In it, you can see the needle holder (skulls and roses). 🙂 There are three pencil cases – a red one with double pointed needles in it (tied together with rubber bands), a pink one with crochet hooks, and a white one with blue and green designs, with general stuff in it – beads, scissors, and so on. 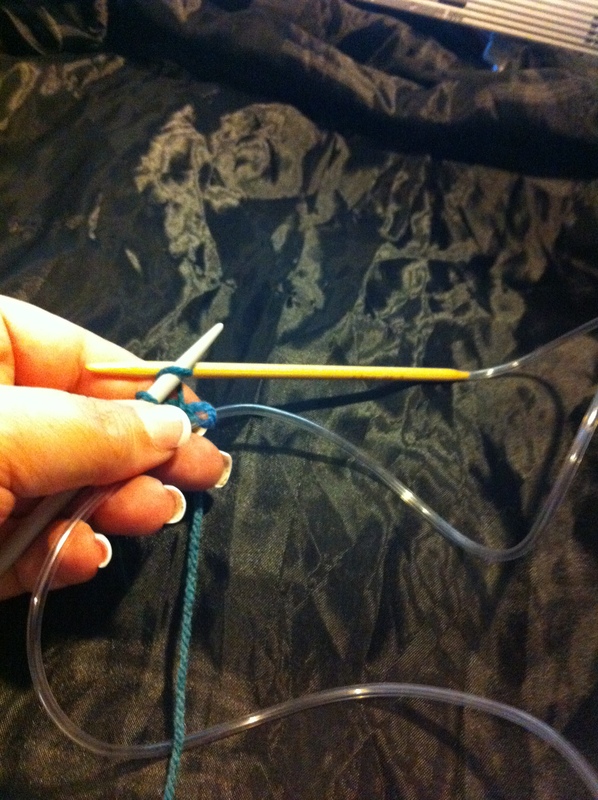 The long roll, blue with white flowers, is a roll that holds straight knitting needles. I almost never use these anymore, but they’re still here – nostalgia, perhaps? 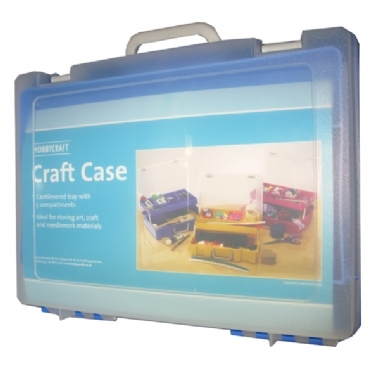 Some of my other knitting stuff – that won’t fit in there, or would just get lost – lives in a craft storage case, like this one I got mine from Hobbycraft. It’s useful, in that it has dividers in it. I’ve got needles (as in sewing needles, and beading needles) in there, along with a tape measure, and to be honest, I don’t really remember what else! 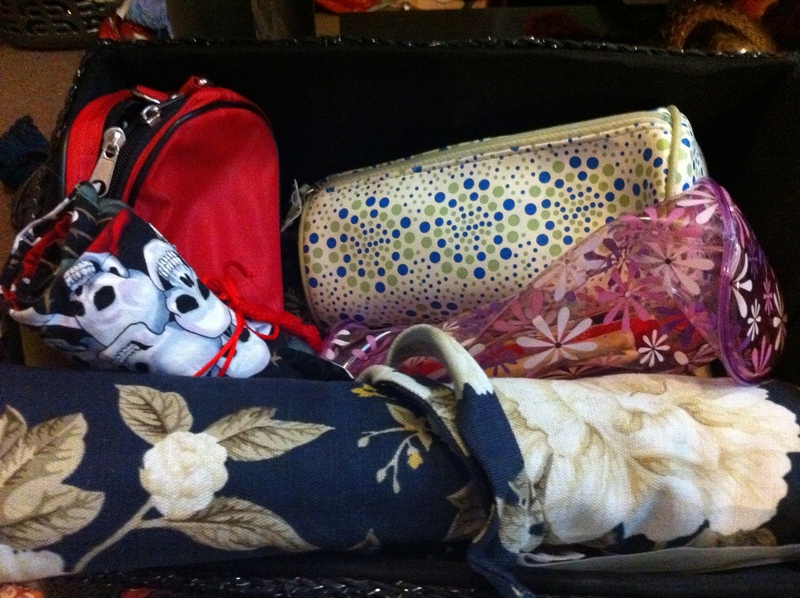 (Yes, I am one of those women who has many, many handbags and leaves stuff in all of them). I’m trying to be more organised, and it really is getting better than it used to be – and I found that fantastic wool, so that when I finish the yellow/orange shawl, I can move on to a Shetland square! There are some things you keep coming back to… meals you fall back on when you’re in need of comfort, books you re-read, music you listen to again and again. 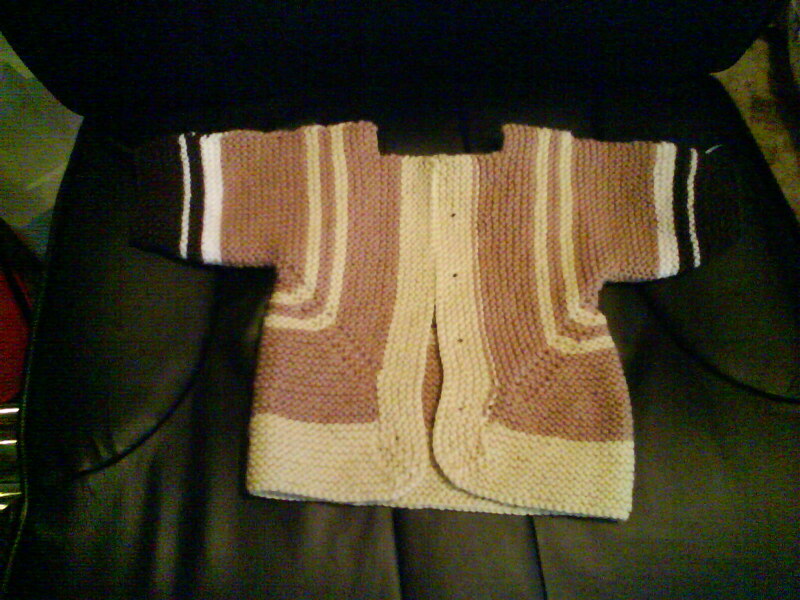 I’ve lost count of the number of baby surprise jackets (more E Zimmerman) I’ve done. 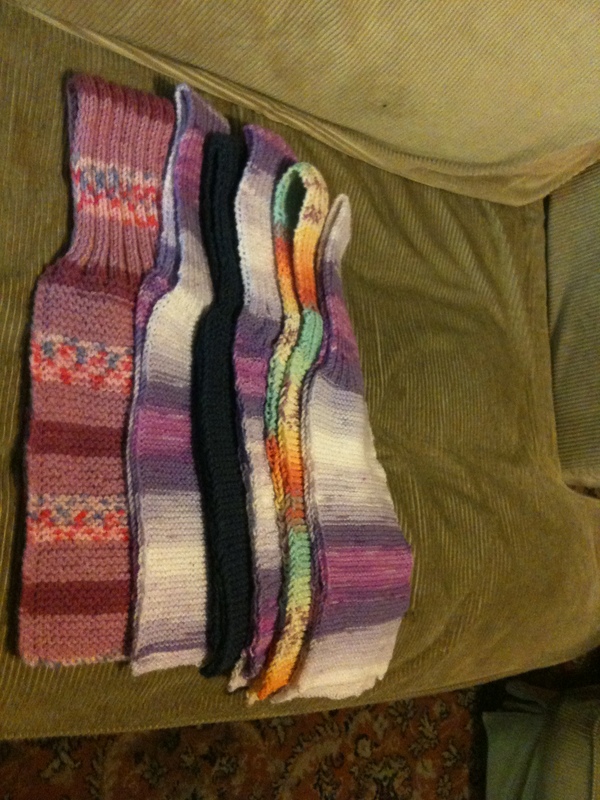 They are all garter stitch, the only seams are across the top of the shoulders, and you can pretty much knit them without thinking about them. They look inviting…. 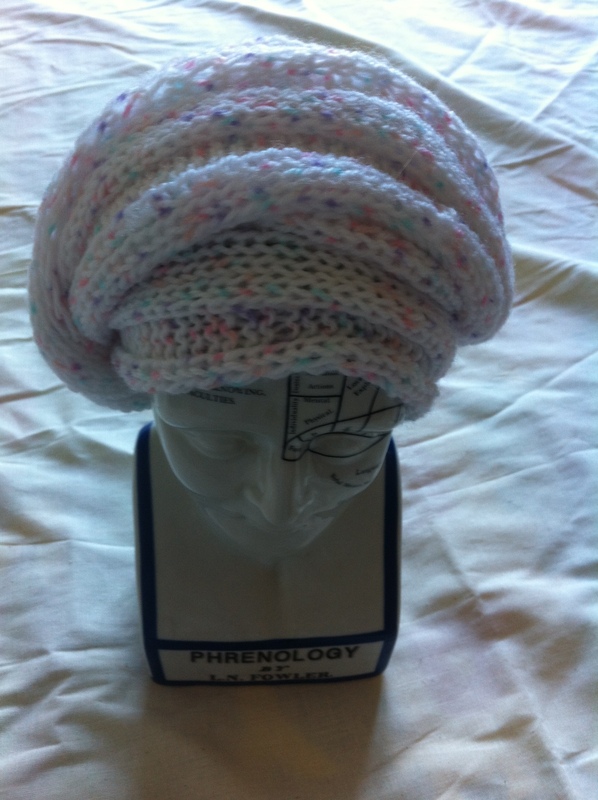 If you look carefully, you can see how they are constructed, with lines of decreases forming the shaping. These have all been made out of stash yarn. (And have all gone to various charities). In terms of patterns, the one I come back to, again and again, is Old Shale. It’s remarkably simple – K2together three times, then do six YO, K, then three more K2tog. it’s very easy to keep track of. 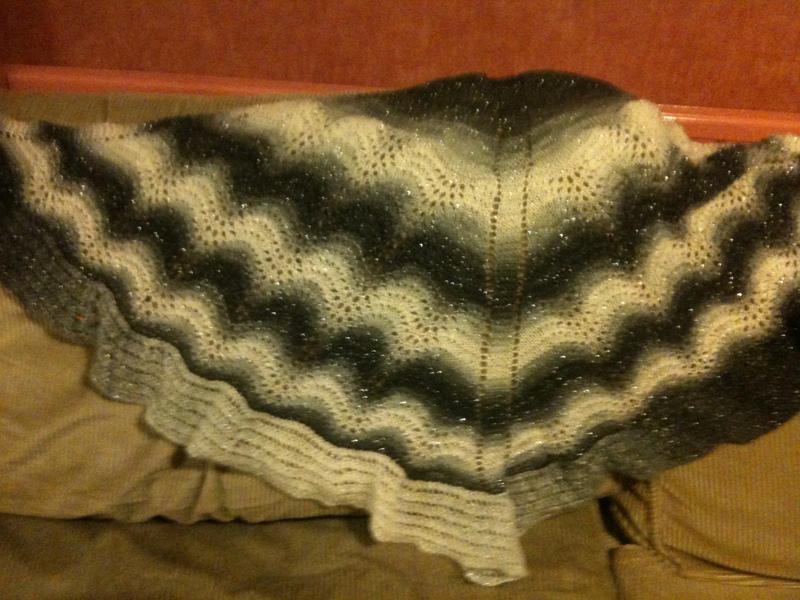 Even in a quite fluffy wool, it’s lovely… . It may not be the pattern you choose to fall back on, time and again – different people are different. But you will probably find one that works for you!